Quick Change Rolling Barrel Swivels with a matt black non reflective coating. Quick Change Swivels are designed to allow fishermen to quickly and easily change their rigs without the hassle of having re-tie them every time. This means your rods can be in the water for longer, resulting in more fish on the bank. 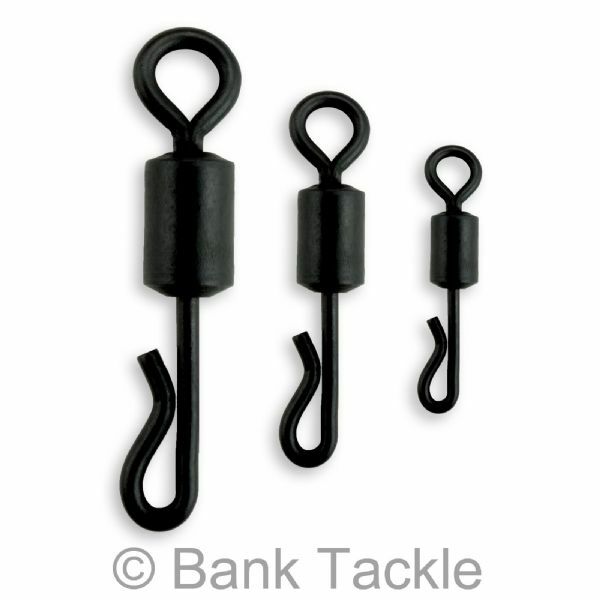 Our size 8 Quick Change Swivels are genuine UK size 8 and fit all standard sized Lead Clips on the market. Size 11 Quick Change Swivels are becoming more and more popular as rigs get scaled down in size in the hope of catching wary carp. 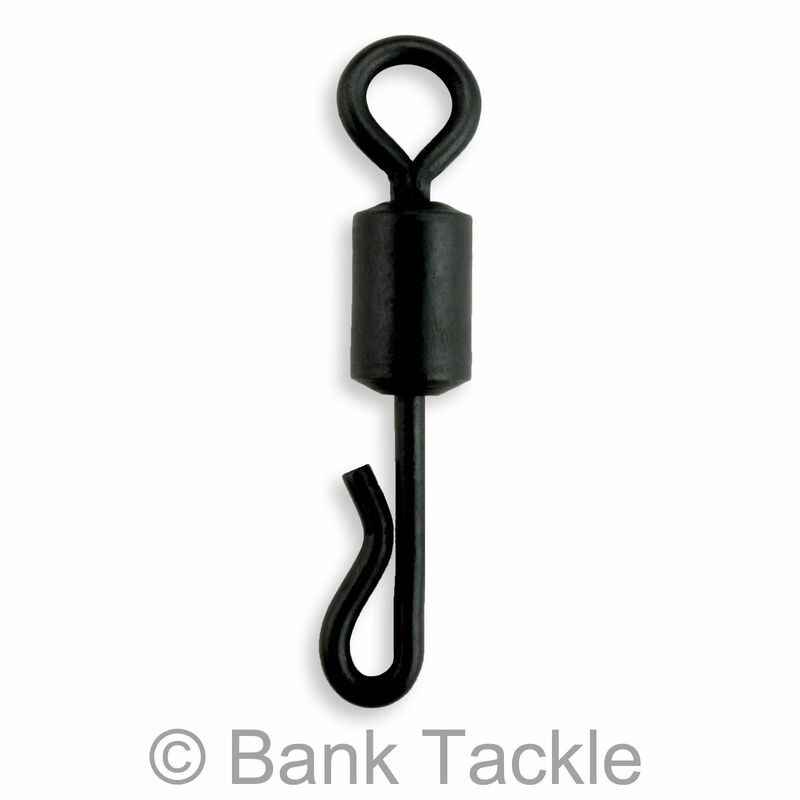 Size 16 Quick Change Swivels are for fishermen looking to scale down even further.